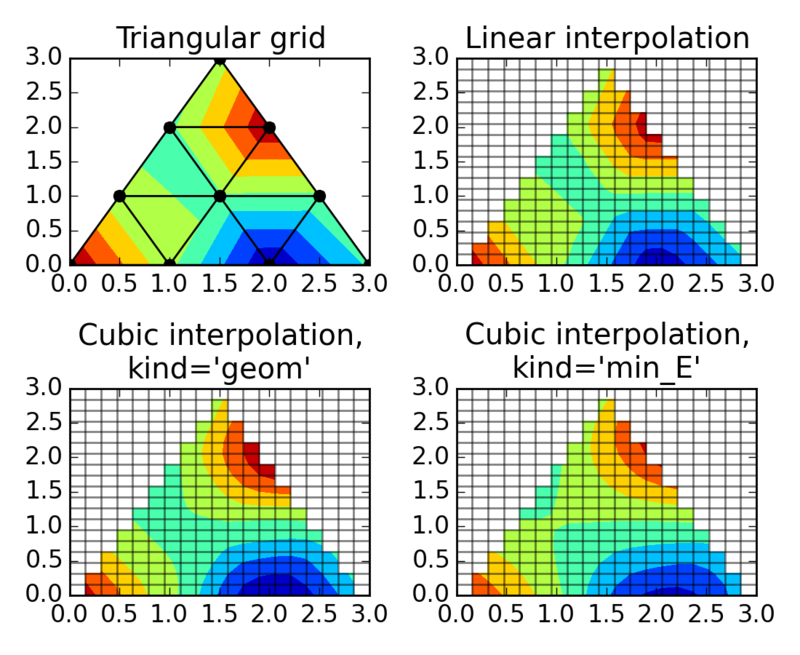 Interpolation from triangular grid to quad grid. # Interpolate to regularly-spaced quad grid. 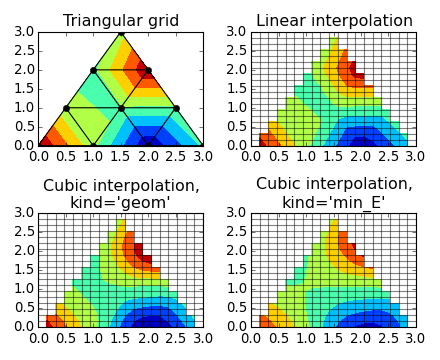 # Plot linear interpolation to quad grid.